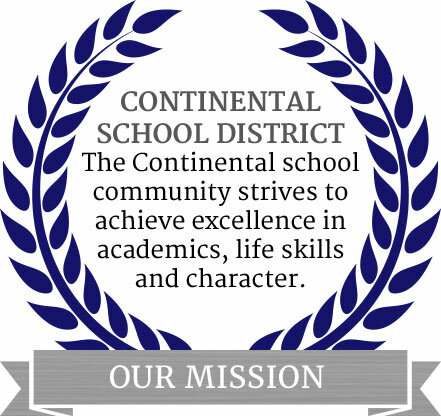 Continental School District No. 39, home of the Continental Colts, has served families in the Green Valley area since 1916. Continental School’s name came from the Intercontinental Rubber Company, established in the area at the request of President Woodrow Wilson, during World War I. Our unique location, at the base of Madera Canyon, offers unobstructed views of the truly unique desert landscape. The district has always been committed to educational excellence and celebrated its 100th year in 2016. Green Valley was established as a retirement community in the 1960's and now boasts a thriving population of over 21,000 people. 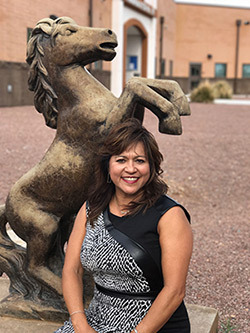 While Green Valley is still predominately a retirement community, there are approximately 200 families whose children attend Continental School. Our school and the community work hand in hand for the betterment of the community and the students at Continental. Our students benefit from the experiences of a wide range of community and parent volunteers who actively assist with a variety of clubs, special programs, after-school sports, and activities. This special bond between our students and our many volunteers make our district a truly unique place to be. Please view our AzMERIT testing scores for Spring 2018. During the Fiscal Year 2017, Continental spent 55.3% of our available operating dollars on instruction. We invite you to view the entire report on the Arizona Auditor General’s website. For those with children participating in promotions this year, be sure to mark your calendars for preschool promotion on May 17 at 5:00 p.m., kindergarten promotion on May 21 at 9:00 a.m., and eighth grade promotion on May 22 at 10:00 a.m. It is with great pride that I serve as your superintendent. We have so many things to be proud of at Continental. We are all still ecstatic about our newest "A" letter grade. I cannot thank you enough for your continued support of our staff and, most importantly, your children. Hard work pays off, and without your diligence in helping with homework, reading to your children, having conversations about learning, and answering your children’s questions about things they wonder about, this "A" would not be possible. Our community support continues to be amazing! We are so fortunate to have community volunteers who are so generous with their time and tax-credit donations. Because of their generosity, we continue to offer quality sports, clubs, and tutorials for our students. I continue to count my blessings of being a part of such a wonderful school and community. Thank you and keep up the great work! Let’s make it a great year!